It was a rainy day in Milan. Coming from Dubai to Europe at this time is it ..... niiiiiice but very cold. 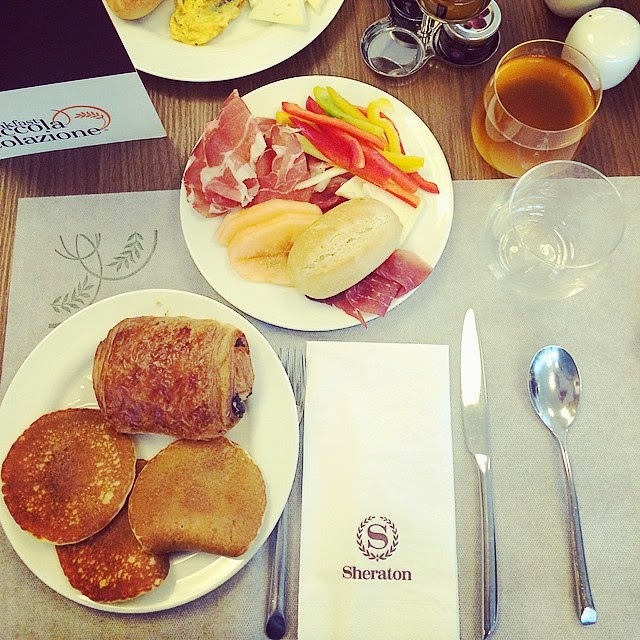 My husband and I thought is better to have at least the breakfast before we'll decide where to freez on that day. I had my favorite pancakes and prosciutto. Thats not really an Italian breakfats. But I am half Russian so I can have even the soup at earliest hours of morning. And, god, I missed prosciutto sooooo much. So I thought to share my happiness with my friends on Instagram @ReinventYourself and carry on my day. 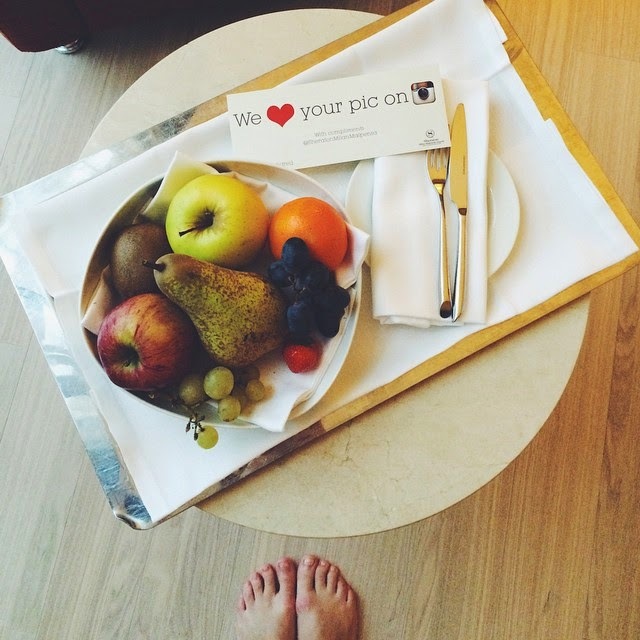 In the late afternoon when I come back to my room I've found a fruit platter with a message that #SheratonMilanMalpensa likes my Instagram pictures. I couldn't remember if I put any hashtag related to the hotel, at maximum I put #milan and #milano. I though maybe they are running social media campaign and they send everyone special treatments to encourage tourists to take pictures and share them on Instagram. Well, I was wrong. They ment to sent me that surprise cause they found the picture on Insta. How? I don't know. But a healthy gesture made my day. Nice photos. Food looks yumm!